Gunboats are ships of different origins (sometimes even converted merchants) armed with destroyer-size weapons but without torpedoes. Active in more restricted waters (Gulf of Finland, Ladoga Lake, Caspian Sea) should not be confused with Armed boats or riverine gunboats. 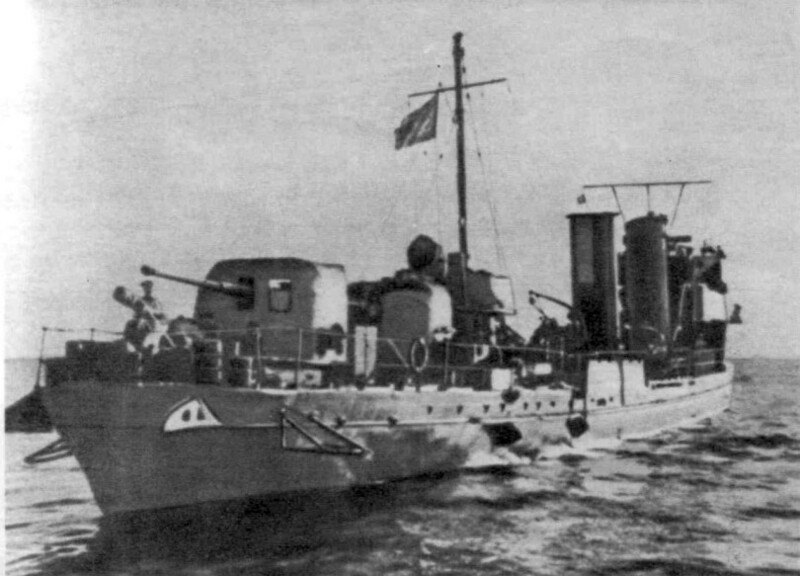 Soviet gunboat 'Krasnoye Znamya' (Red Banner). The most powerful Soviet gunboat (5 x 130mm guns) active in Gulf of Finland: a single unit. On 18 November 1942 she was attacked while in harbor by Finnish motor torpedo boats Syoksy, Vinha and Vihuri. She was hit by a torpedo from Syoksy and sunk. It was the largest Soviet warship sunk in action by surface enemy ship during the war, but she was recovered in November 1943 and returned to service in September 1944. 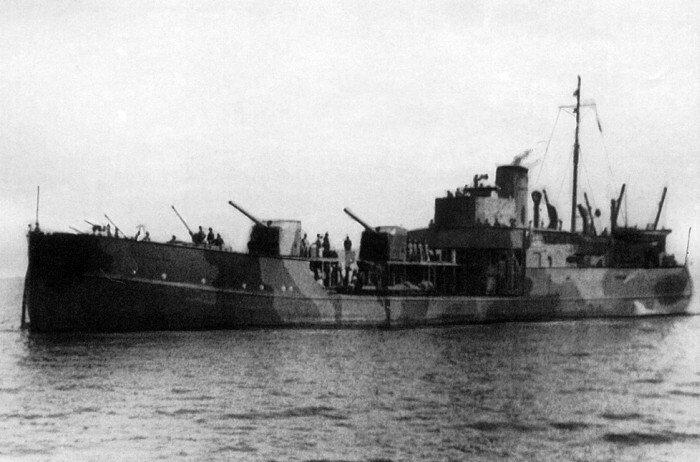 Soviet gunboat Krasnyy Azerbaydzhan. Alongside her sister-ship Lenin, she served in Caspian Sea (most armed warships there). During the Russian Civil War she captured the White transport ship "Ondine" on 18 April 1918. During the WW2 both ships provided patrol service in the Caspian Sea and took part in operations against Persia in 1941. On 20 June 1943, Lenin’s anti-aircraft fire shot down a German He-111 bomber: crew of 4 captured including the squadron commander. Canhoneira embarcacao russo. Canonera buque foto. 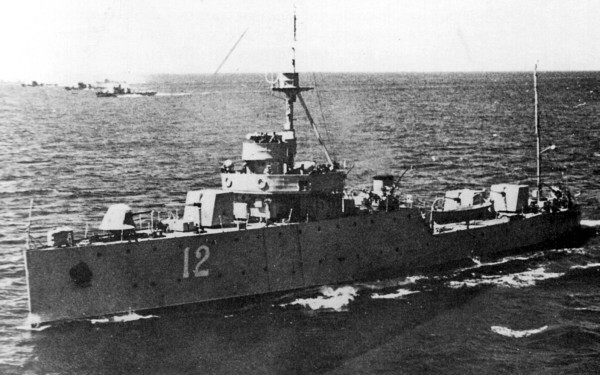 (photo of Krasnoya Gruziya after the attack) Intended as multi-purpose ships with minelaying, minesweeping and landing/transport capabilities. Krasnaya Gruziya and Krasnyy Adzharistan: on these mines was heavily damaged the German landing craft F-130 on 29 April 1942. (drifting mine was Soviet, while claimed in past by submarine L-4, her field was located too south). 1 December 1941: was sunk the Romanian merchant Cavarna (3495 GRT) with cargo of fuel. 2 December 1941: was sunk the German merchant Cordelia (1357 GRT) with cargo of gasoline. Both ships have been claimed until recently to the field laid by Soviet destroyrs Smyshlyonyy and Bodryy. Krasnaya Gruziya was grounded and lost on 28 February 1943 after being hit by torpedo during an attack by German motor torpedo boats S-28, S-51, S-72 and S-102 in Black Sea. 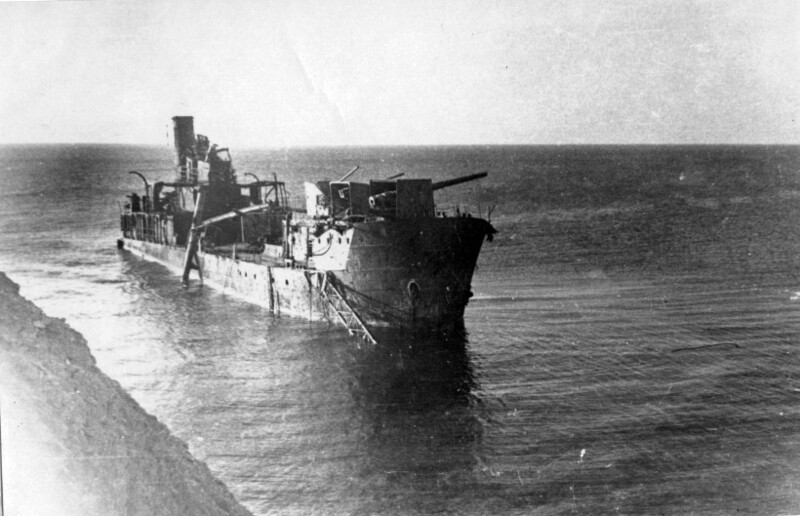 The wreck was later finished by German artillery and aircraft. It was the heaviest loss of the Soviet Navy due enemy surface attack in Black Sea (during the assault were also lost a minesweeper and a tug). Amgun-class was the most numerous class of Soviet large gunboats (11 units) serving both in Ladoga Lake and Gulf of Finland. Hulls built in Germany before the war and acquired by Soviet Union between 1940 and 1941! All ships armed with 2 x 130mm guns (except “Bira” that received 3 guns) and took part at multiple clashes. Gunboat Kama took part at the last stage of Battle of Someri Island. She shelled from sea Finnish ground forces and engaged Finnish gunboats Hameenmaa and Turunmaa without hits scored on both sides. Finnish claimed to have sunk her with aircrafts but it was not true. The battle was a soviet defeat with the failure of the landing and a number of losses among small crafts (caused mainly by Finnish coastal artillery and gunboats), and only damage caused to the enemy was due soviet aircrafts. Into Ladoga Lake Italian motor torpedo boats MAS-527 and MAS-528 attacked gunboats Nora and Selemdzha while sailing with sub.chasers MO-199, MO-202 and MO-209. Italians claim to have sunk a gunboat, but torpedoes exploded on bottom and MAS-572 received a direct hit with damages. Selemdzha had 2 wounded. Into Ladoga Lake, Germans assaulted the small island of Suho with a flotilla of armed landing barges. The landed troops could not fulfill their full objectives, suffering heavy losses and destroying 2 of the 3 guns, while also damaging the lighthouse. Unexperienced on the island geography, multiple units grounded: the armed ferries SF-12, SF-13, SF-21, SF-26 and infantry boat I-6 were lost (with extra damage caused by the Germans before retreating), while SF-22 was damaged after direct hit from the survived gun. 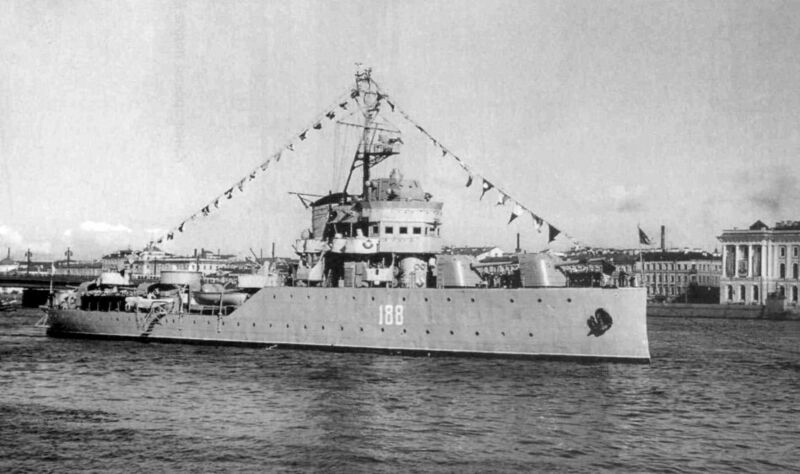 Soviet auxiliary minesweeper Tszcz-100 engaged the ferries at the beginning of battle, and gunboats Bira and Selemdzha sailed to the island with support of sub.chasers MO-201, MO-205 and MO-206. The gunboats shelled the grounded ferries and chased the retreating flotilla who fled in front of more large ships. During the chase, both gunboats suffered minor damage (2 wounded on Selemdzha). Later Soviets recovered and repaired one of the ferries. An engagement between the German minesweeper M-328 (followed by the four small auxiliary minesweepers) against four Fugas-class units, saw the Tszcz-207 Shpil hit by a 105mm shell of the M-328 with some damages. A counter-attack of the soviet gunboats Volga, Bureya and Zeya saw no other hits on both sides and both groups retreated. A repetition off the first battle: this time gunboats Volga, Bureya and Zeya engaged more enemy units: minesweepers M-328 and M-423, patrol ships V-302 “Bremen” and V-5713 “Sudetenland”. During the clash, “Sudetenland” suffered a direct below the water line with heavy damage: she was took in tow by “Bremen” and the whole German group fled. Konstructor was a single ship: last survived of her WWI-era class of warships, converted as gunboat with 3 x 130mm guns to serve in Ladoga Lake. On 16 October 1941 her anti-aircraft fire shot down a German Ju-88 bomber. Crew of 4 captured. Sunk by Finnish bombers on November 1941 but recovered and returned to service in April 1943.